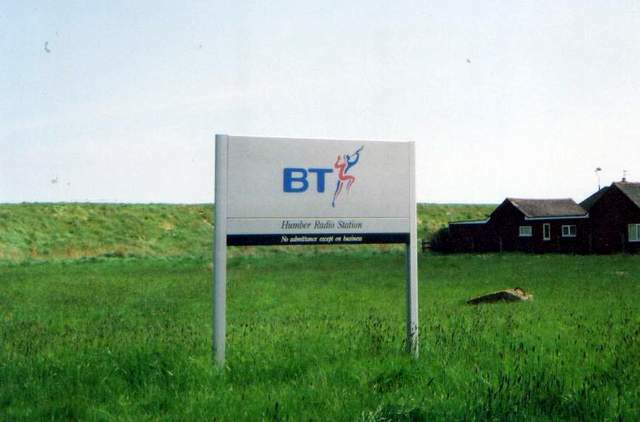 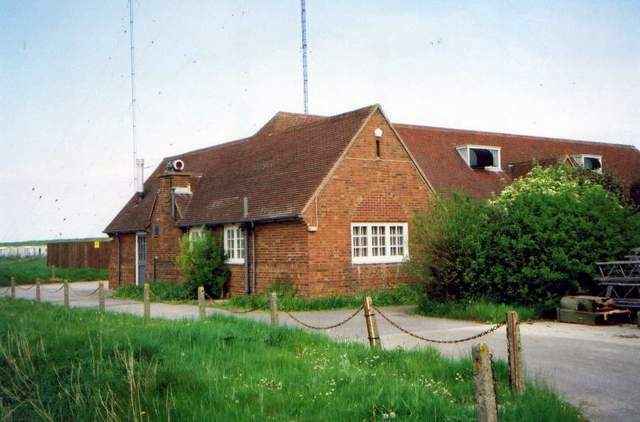 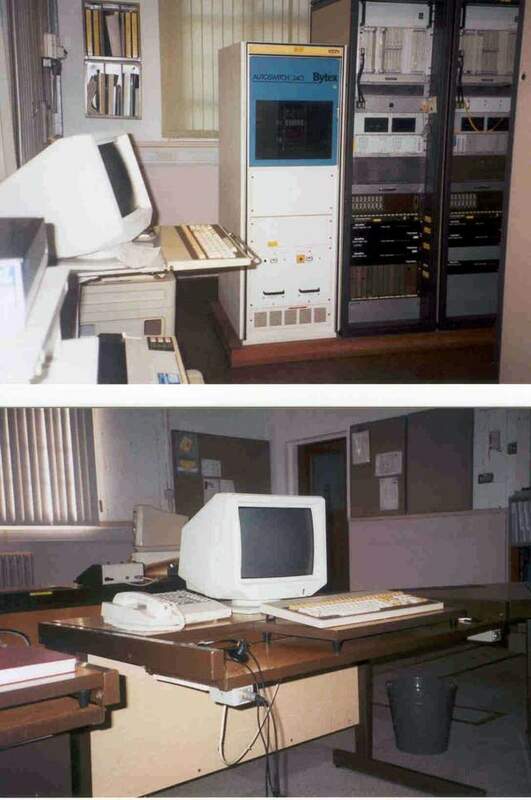 The BT Coastal Station Humber Radio closed 30th June 2000. 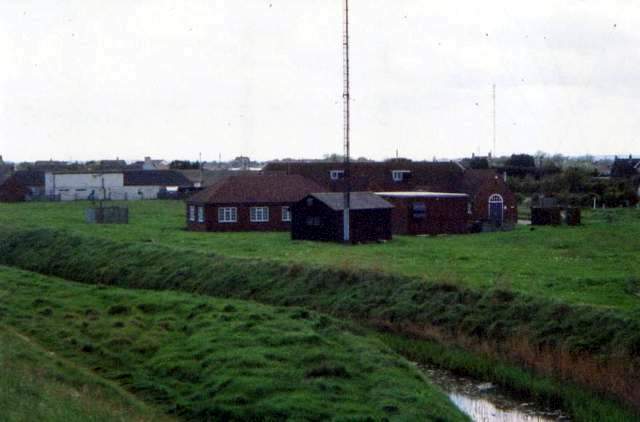 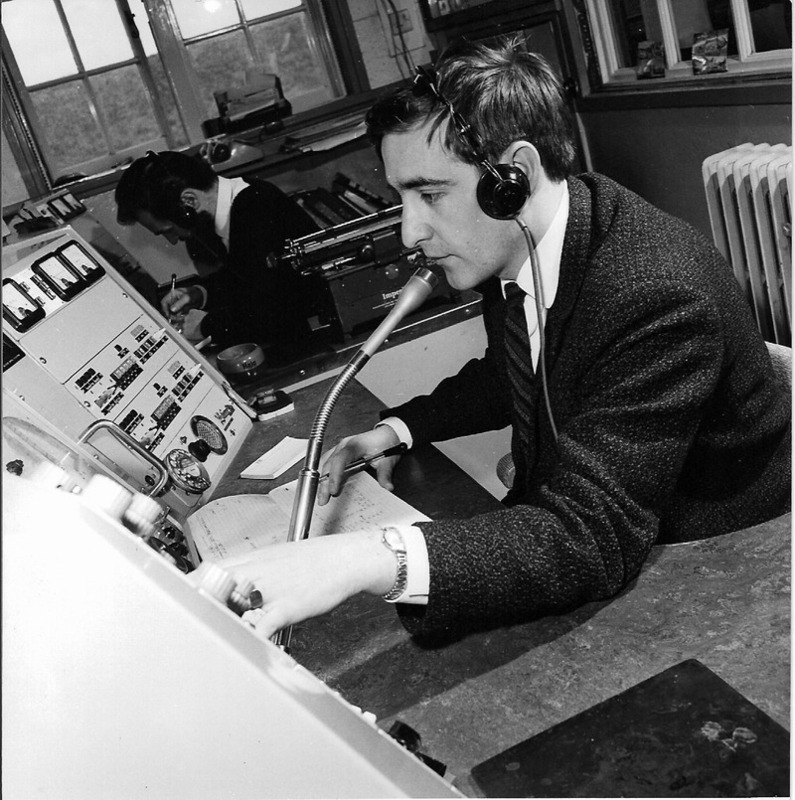 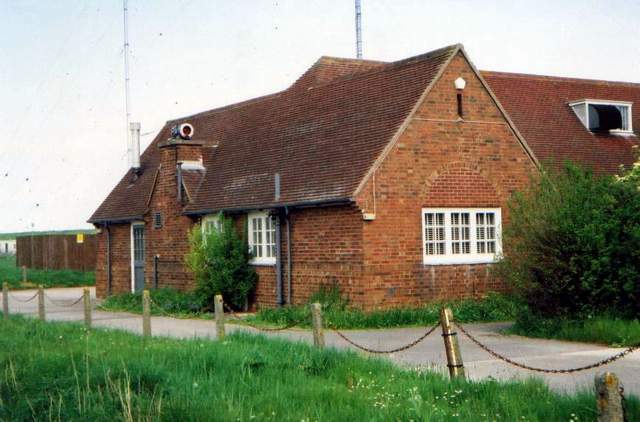 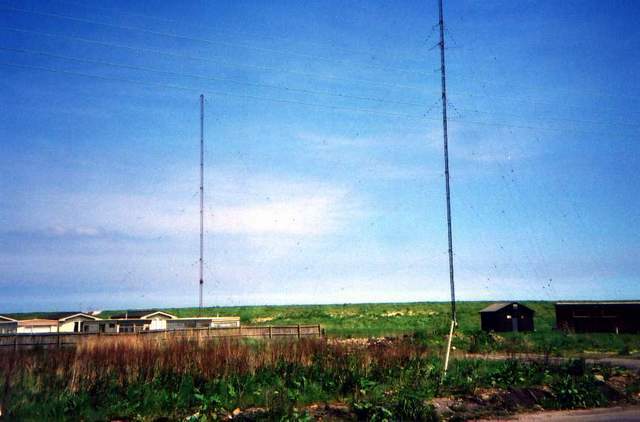 Humber Radio was located on the East Coast of England just south of the town of Mablethorpe. 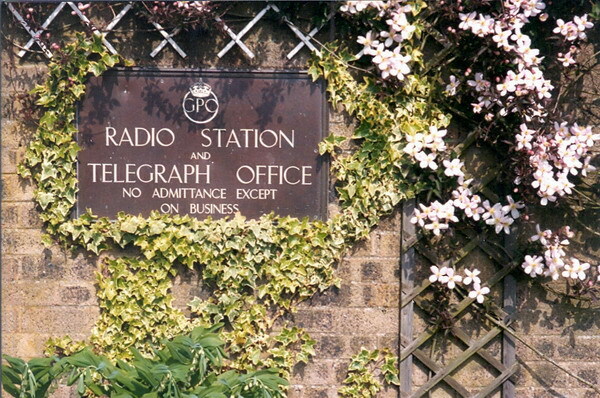 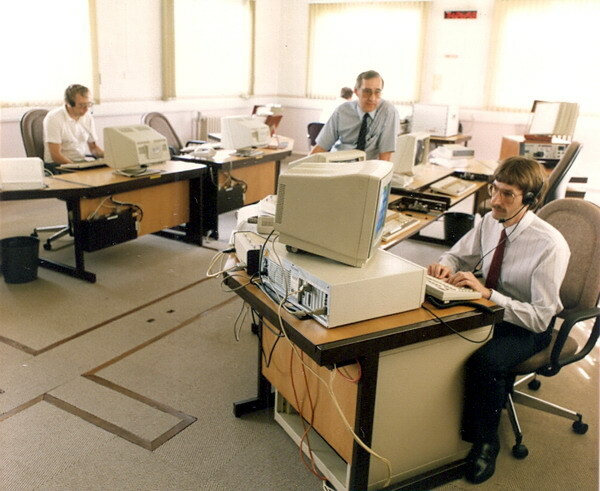 These early pictures were kindly sent by David Hopcroft. 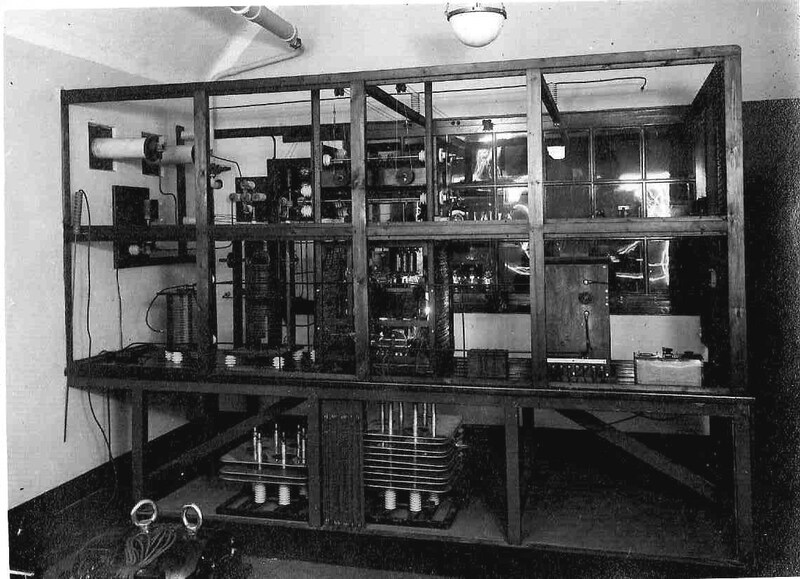 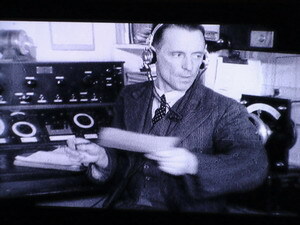 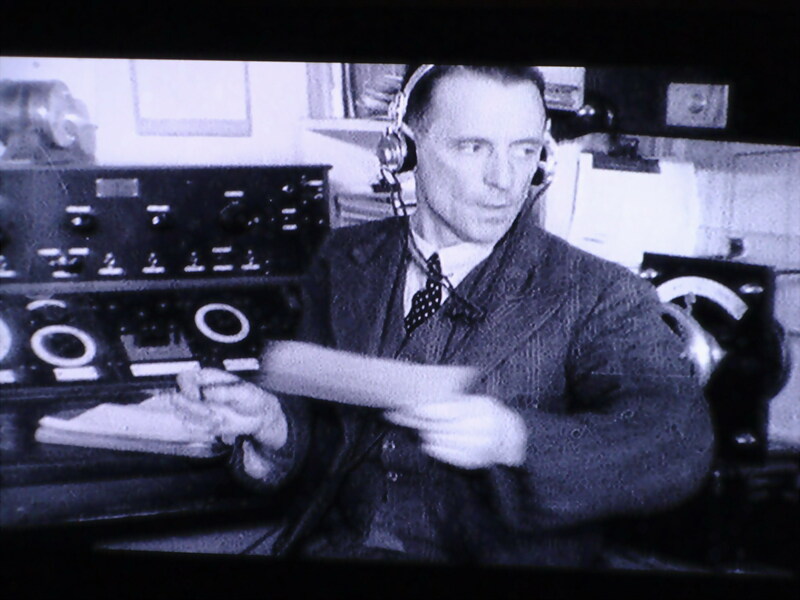 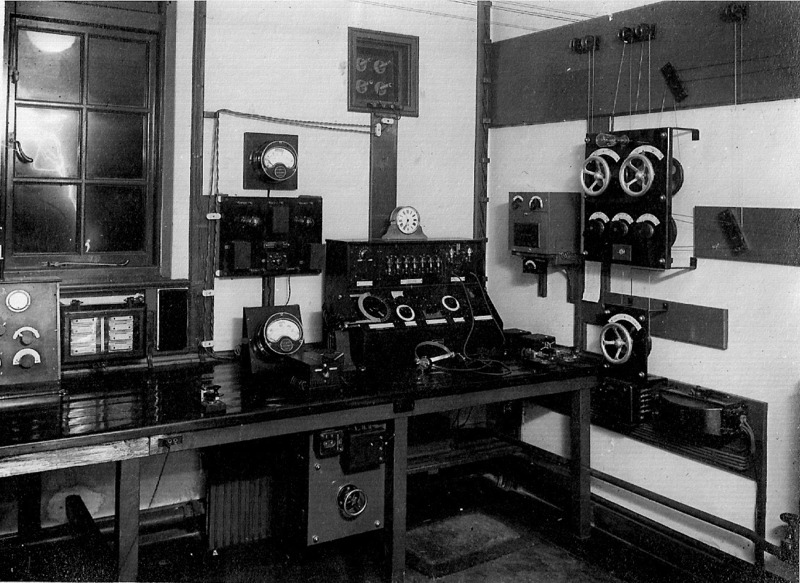 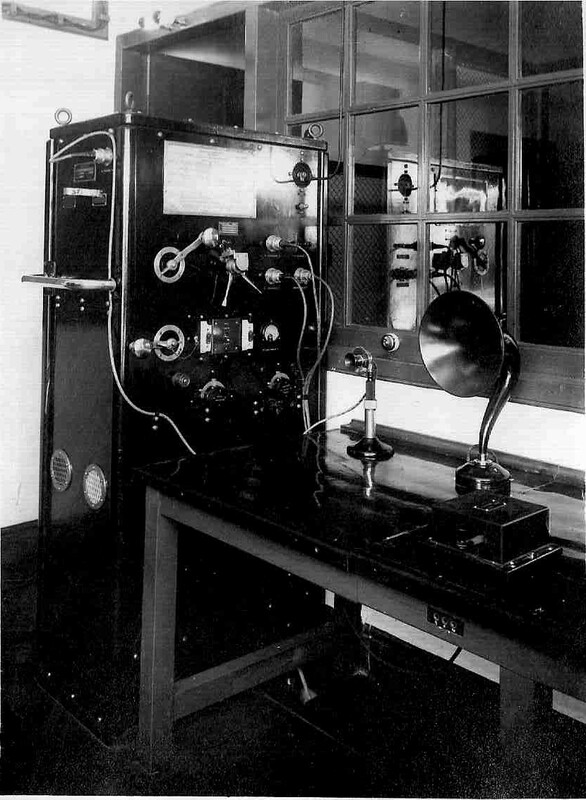 Humber Radio Trusthorpe December 1927. 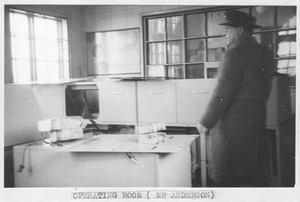 Charlie Anderson surveying the flooded Operating Room in 1953 . 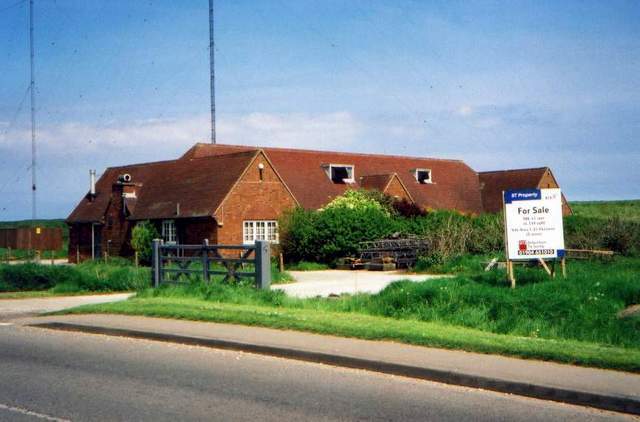 These first nine pictures below of the buildings and masts were taken on 20th May 2001 almost a year after closure. 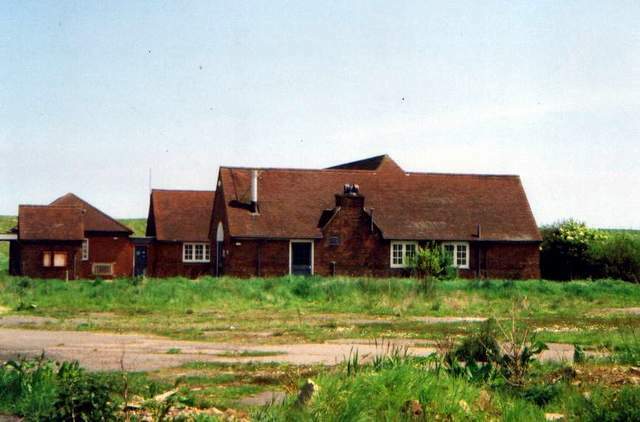 At this time the land and buildings were up for sale. 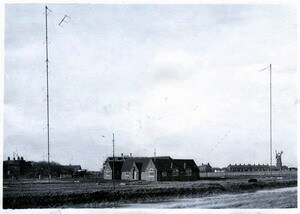 The first nine pictures are all © Robert Maskill G4PYR and should not be used elsewhere without permission. The following pictures are © David Hopcroft and should not be used elsewhere without permission. 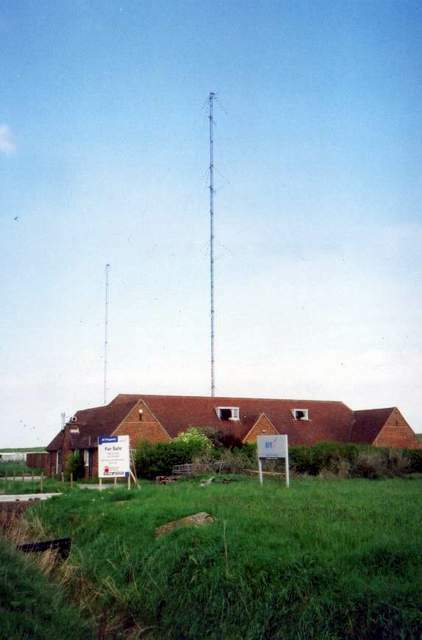 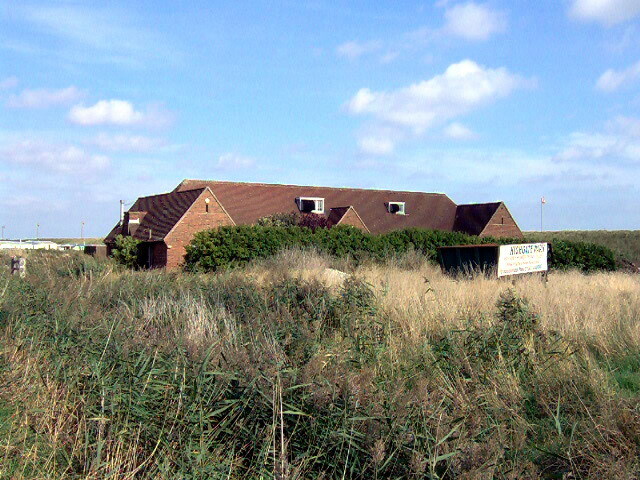 Humber Radio Site October 2006 , boarded up and awaiting redevelopment. 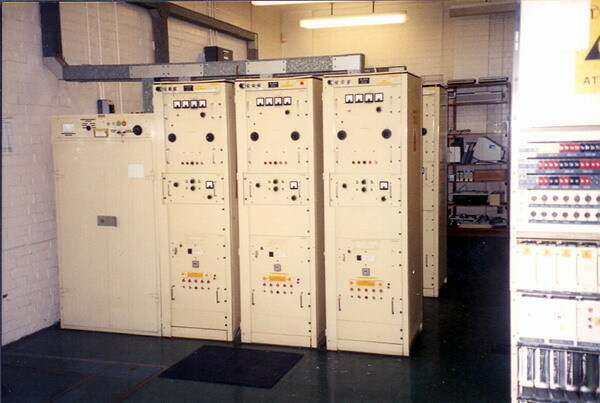 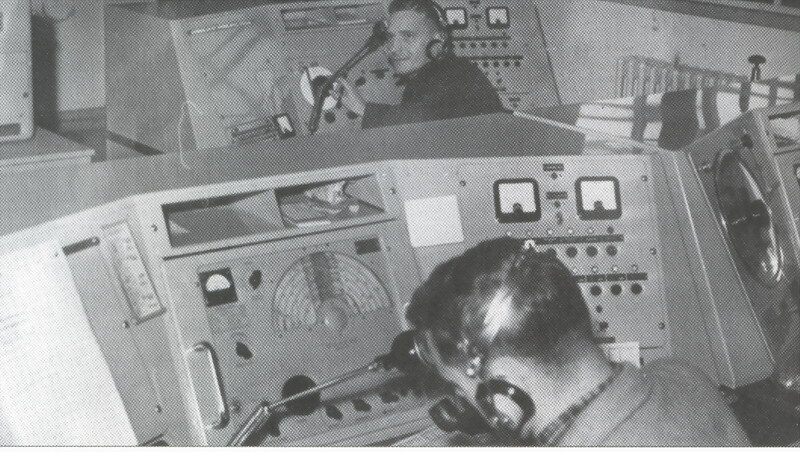 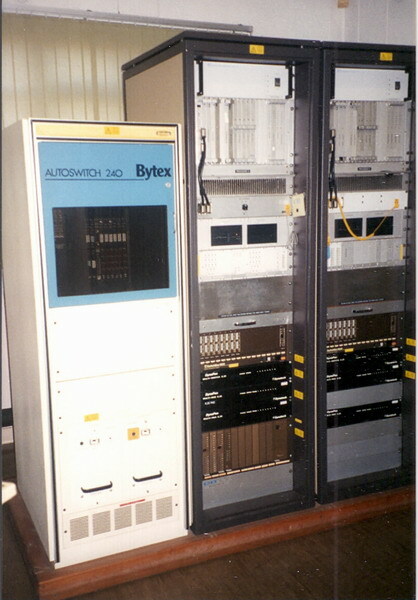 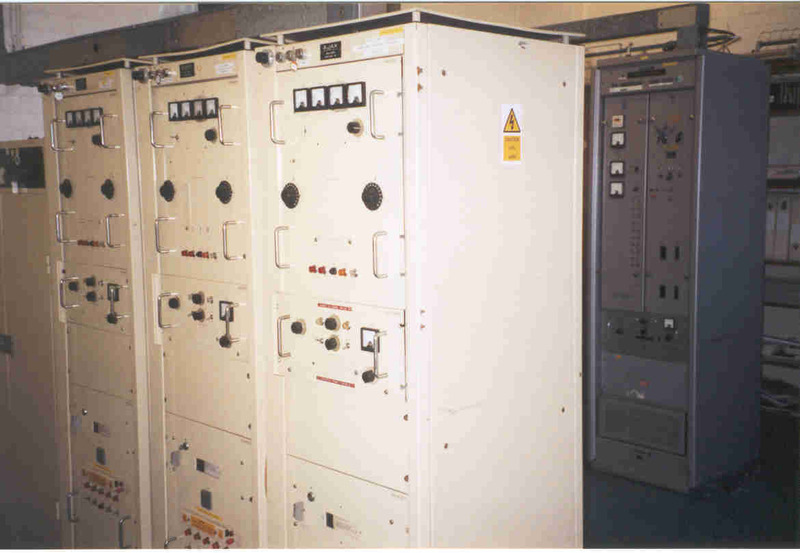 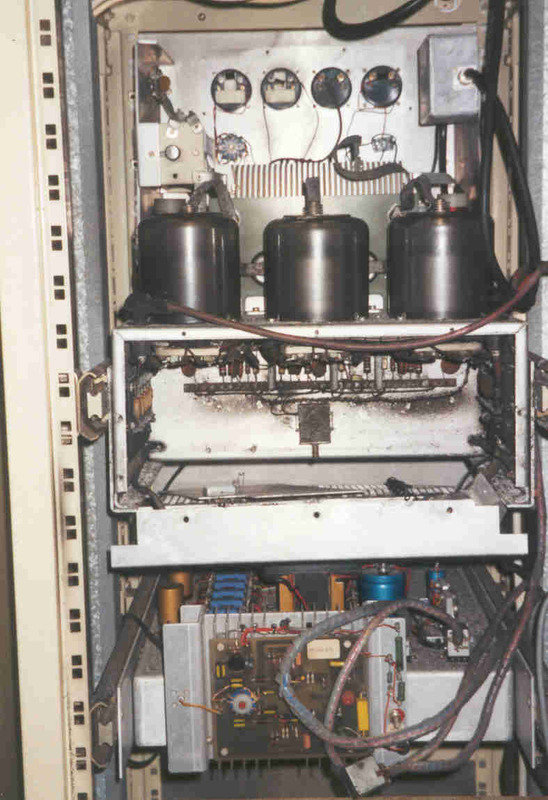 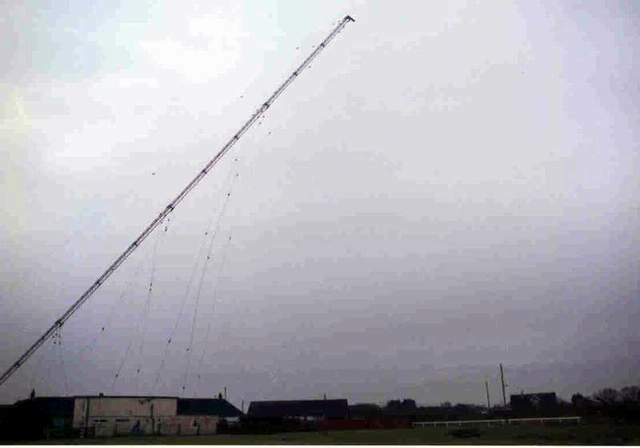 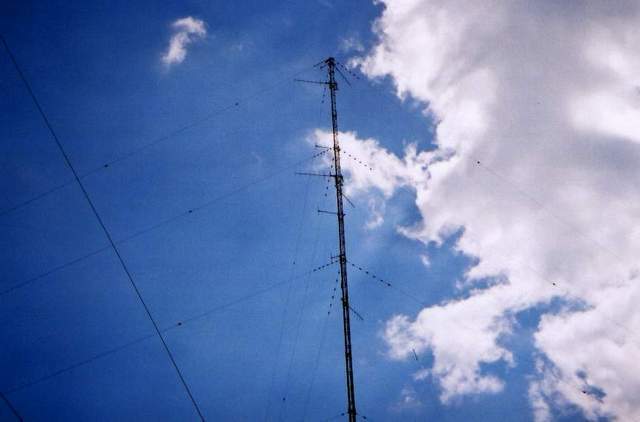 The Single Frequency Ajax Transmitters feeding the filter which allowed all three transmitter to use a wideband aerial. 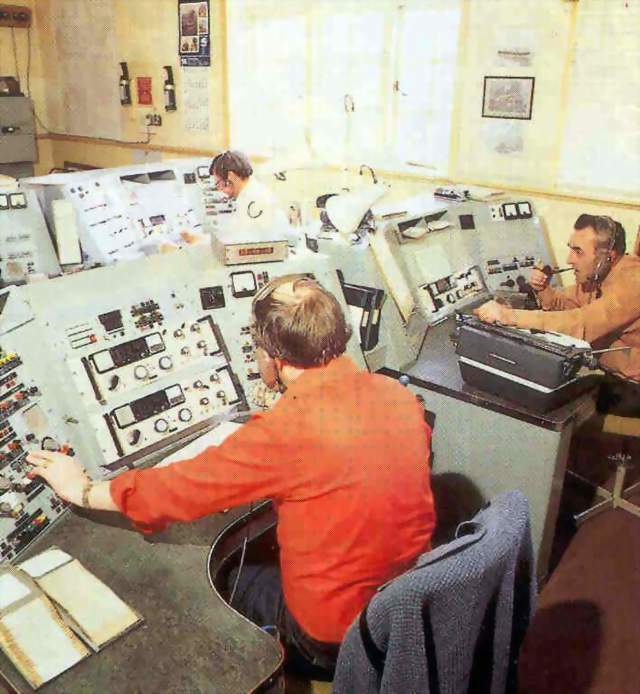 What replaced the 'Humans' The computer controllers.